Scarlett Lewis lost her son Jesse 5 years ago in the tragic shootings at Sandy Hook Elementary School. What came from that unimaginable heartbreak was a simple commitment to "Choose Love", and the first part of choosing love? Courage. 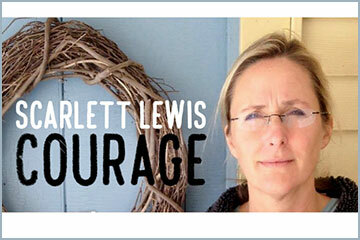 NewChurchLIVE welcomes Scarlett back to livestream her talk about courage, Sunday September 23, at 10:30 EDT. Watch the livestream. Or receive a notification when it's on. Or read more about how one mother found forgiveness, hope and a mission.